The modern, stylish, and feature-packed Odyssey minivan is a surprise for many drivers who still hold to the belief that minivans are decidedly devoid of “cool factor.” The Odyssey is positive proof that a minivan can be much more than the old stereotype would suggest. With its modern exterior design and an interior that gives you all the latest and greatest technology features you could ask for, the Honda Odyssey breaks the minivan mold. And it also easily competes with the crossovers and SUVs that are so pervasive on the highways and byways of Birmingham these days. One other thing the Odyssey has going for it that will surprise many drivers? It’s fun to drive. It has a powerful engine that accelerates quickly and responsive handling that makes it easy to maneuver around slower vehicles on the road. All that, and a feature-loaded cabin that promises to keep everyone inside entertained and comfortable for the duration of your journey? It’s a safe bet you’ll fall in love with the Odyssey’s offerings at first sight. Visit Brannon Honda today and explore the Odyssey models we have in stock. We think one test drive is all it will take to convince you that this standout minivan is exactly what you’ve been looking for. A spacious cabin is a key consideration when you’re shopping for a family vehicle. Passenger space is important so that everyone can stretch out and relax in comfort on long journeys, and cargo space is necessary in a vehicle that can accommodate so many passengers. The 2019 Odyssey delivers the space you need in a comfortable, connected, and family-oriented cabin. Choose among the six trim levels to find the perfect array of features for your needs and preferences: LX, EX, EX-L, EX-L with Navi and RES, Touring, and Elite. The base LX trim comes with a rearview camera, 18-inch wheels, two USB ports, automatic climate control, a seven-speaker sound system, power-adjustable front seats, and more. The EX offers keyless ignition and entry, three-zone automatic climate control, remote engine start, heated front seats, and power-sliding rear doors. The EX- L provides a sunroof, leather upholstery, driver-seat memory settings, a noise-reducing windshield, a power liftgate, and more. The EX-L with Navigation and RES adds an HDMI input, a 110-volt power outlet, and, you guessed it, a navigation system and rear entertainment system. The Touring comes with front and rear parking sensors, LED headlights, onboard 4G LTE connection with a Wi-Fi hotspot. The Elite gains ventilated front seats, 19-inch wheels, an 11-speaker premium audio system, noise-reducing glass for the front and rear windows, and a wireless phone charger. Currently in its fourth generation, the Honda Odyssey has played a significant role in modernizing the minivan class. Dating back to its initial production in 1994, the Honda Odyssey began as a more compact minivan that catered to European and Japanese markets. In 1999, Honda built a manufacturing plant in Lincoln, Alabama, that gave them the opportunity to build larger variations to match North American consumer desires. To meet market demand, the Odyssey underwent annual improvements that involved increasing the vehicle’s size and improving its driving performance, output capabilities, and safety features. One of its most significant changes happened when the fourth-generation Odyssey was launched in 2011. We have a strong and committed sales staff with many years of experience satisfying our customers’ needs. 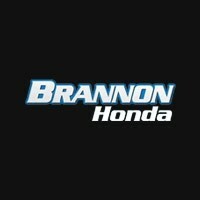 That commitment to quality service is evident in every interaction our clients have with the staff of Brannon Honda. We have made it our duty to provide the highest level of service, whether you’ve come to us seeking an older Honda model or to buy the new vehicle of your dreams. We will guide you every step of the way and won’t be satisfied until you are. Whether you are located near Vestavia Hills, Homewood, or Bessemer, we encourage you to visit our Honda dealership in Birmingham, AL today!